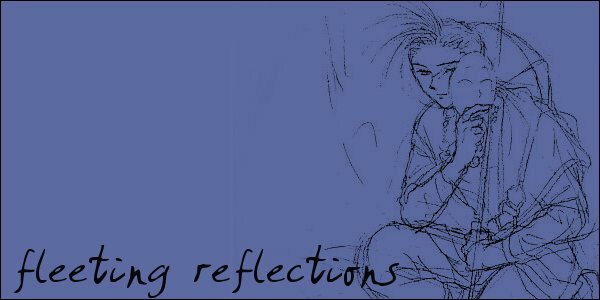 Welcome to Fleeting Reflections : Houjun[dot]com, which is, of course, dedicated to Ri Houjun, or Chichiri. Thank you so much for coming and supporting us! There's a few different things you'll find to do on this page. However, if you're not familiar with the entire series of Fushigi Yuugi and don't want to be spoiled, this may not be the best site for you. The spoilers mainly lie in the info section, but there are other small ones. Please sign my guest book! Fushigi Yuugi and Chichiri belong to Watase Yuu, as does the lovely piece of artwork used on this site. This is only a fansite, and I make no money in maintaining it.